The Doctors at Aches and Pains Medical Practice are to offer regular Baby Health Checkups. For all Baby Health Checks please bring your Personal Health Record Booklet. This booklet will be filled out to keep a complete history of your childs health and development. After the consultation with the doctor we are able to offer to you the services of a registered nurse who is able to perform a full health check which includes weighing and measuring your baby and giving any baby vaccinations that are due. 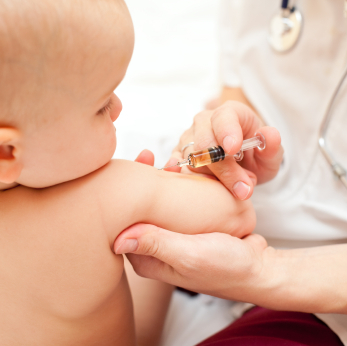 We are able to provide a Bulk Billed consultation and Free Childhood Immunisation Service. With the GP within 5- 10 days of baby being discharged from hospital. An initial assessment with a GP between 0 – 4 weeks. Subsequent checks at 2 months, 4 months, 6 months, 12 months, 18 months an older as recommended by your Doctor or GP. All consultations and baby immunisations provided by our Doctors will be Bulk Billed Service. Pneumococcal vaccine is funded under the NIP for children born from 1 January 2005. Four doses of Hib vaccine are due at 2, 4, 6 and 12 months of age when 'PRP-T Hib' containing vaccine is used. Meningococcal C vaccine is funded under the NIP for children born from 1 January 2002. Varicella vaccine is funded under the NIP for children born from 1 May 2004. Rotavirus vaccine is funded under the NIP for children born from 1 May 2007. Three doses of Rotavirus vaccine are due at 2, 4 and 6 months of age when RotaTeq vaccine is used. To Book an appointment please call 07 3351 8593 or book an appointment online. For Appointments go to "Make an Appointment" Tab or ring 3351 8593. For appointments ring 3351 8593 or book online through the tab above "Make an Appointment"